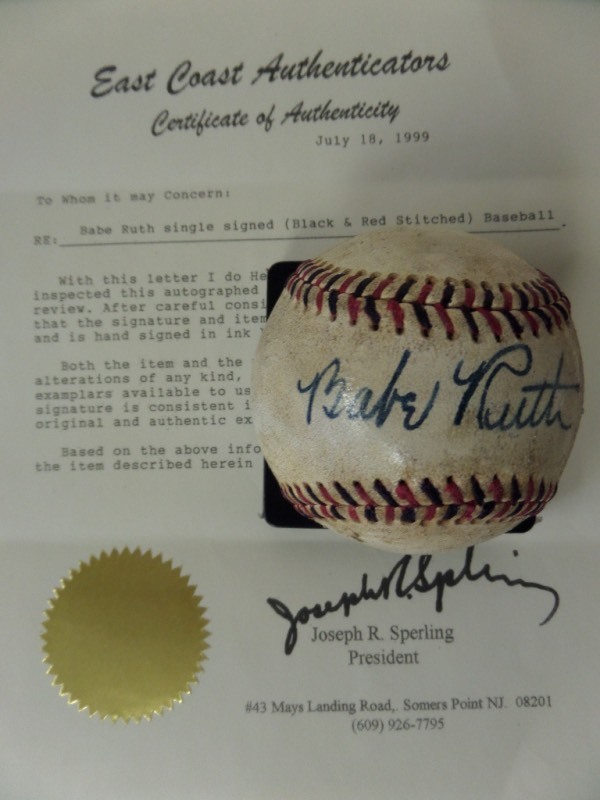 This vintage red and black-laced baseball is in really strong, VG overall condition, and comes hand-signed exquisitely across the sweet spot in blue fountain pen ink by none other than The Great Bambino himself, Yankees HOF'er Babe Ruth! This is a fantastic signature, grading a very strong 6.5, and the ball includes documentation from East Coast Authenticators for certainty. Valued at 200 TIMES our skinny introductory bid!